The La Jolla estates in Bajamar are the best options for those who desire a property near the best-known beaches of Costa Rica's Pacific coast yet don’t want to be far from San Jose, the nation’s capital. It is the perfect place to escape for a weekend or to live a tranquil life with easy access to the central valley. There are marvelous views of the Gulf of Nicoya with a healthy ambiance of fresh air and complete privacy. Enjoy the best climate in the world surrounded by beautiful landscapes of the Orotina area. The ample lots - all over 5,000m2 (5,3,800 sq. ft.) all have leveled building sites, complete infrastructure (electric, water etc.) and the community roads are paved to each lot. Community fees including the guarded gate security are only $200 per month. Just 20 minutes from La Jolla you will find different attractions and entertainment venues where you can enjoy exquisite restaurants with delicious and original dishes, typical of Costa Rica. You will also find excellent recreation spots focused on the natural wonders of the area, Costa Rican beaches on the Pacific coast and more. Also, just minutes from La Jolla you can enjoy the beautiful landscapes and trails of the Carara National Park, which is an excellent place to observe birds, wild animals and plants from the region. 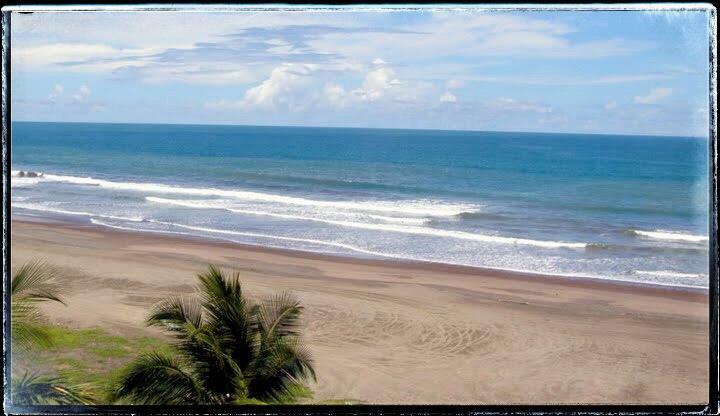 Costa Rica's beaches on the Central Pacific coast are just 6 miles from La Jolla de Bajamar. Some beaches you can access just minutes from your luxury villa in La Jolla are Herradura, Tivives, Punta Leona, Jaco, Playa Hermosa (an excellent place to go surfing) and other participate in other water sports. In addition to the national parks and beautiful beaches of our country, La Jolla is surrounded by dirt roads for horseback riding, hiking or even mountain biking. Other attractions are also paragliding and boating or jet ski as the Caldera port. In Caldera there is a landing ramp to launch your boat or jet ski and there is the Nest of the Eagles for those who dare to jump off the mountain for paragliding, where there is also a small bar to watch the people climbing the mountain. When you purchase your villa in La Jolla de Bajamar you will be able to offer your family not only the peace and comfort of living close to nature, but also the possibility of enjoying the natural beauties of Costa Rica more easily and near your home. Live better, live in La Jolla de Bajamar.